Tampa Bay is one of the best places to visit on vacation with family or as a couple. There are so many fun things to do all over the area that you may be a bit overwhelmed when looking for the best options. Choose between checking out an animal sanctuary, exploring some local history, and wandering some of the area’s beautiful beaches. You’ll find some of Tampa Bay’s best places below to have the most fun on your trip in 2019. 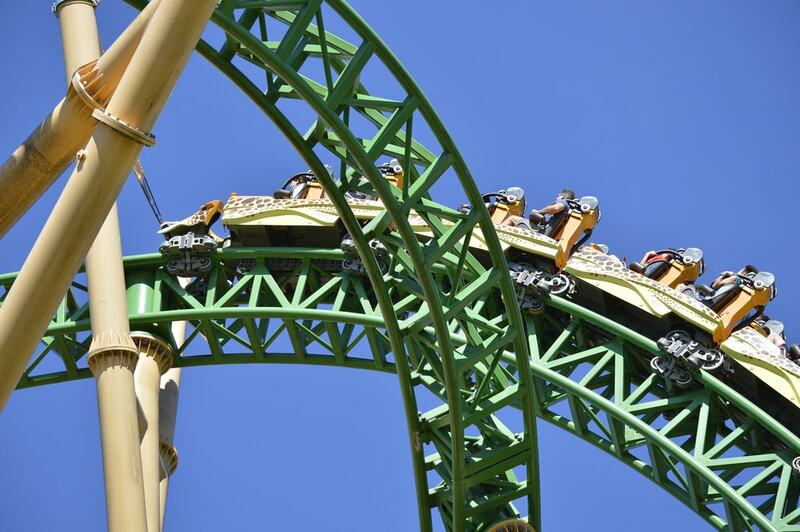 If you’re looking for a thrill, you definitely don’t want to miss out on Busch Gardens. With amusement rides galore, thousands of animals, live shows, shops and games, you’ll have no trouble filling a day of fun things to do here. It’s also a great value, stacking up cheaper than other amusement parks like Disney World. Just 10 miles away from downtown Tampa, Busch Gardens is open every single day of the year, meaning you’ll be able to fit it into any vacation schedule for 2019. If you’re looking to catch a show or a film, the Tampa Theatre is the place to be. Not only are there performances and films here year round, but you can always go to the beautiful structure for a historic tour. Built in the 1920s, the ornate building is gorgeous and features a 900-pipe organ and a ceiling meant to look like the night sky. There’s a 90-minute long balcony to backstage tour showing off the organ, details on the architecture, and the historic nature of the theatre. Tours take place on Tuesdays and Saturdays. Boasted as one of the most beautiful beaches in the gulf coast, you’ll definitely want to add Clearwater things to do to your list during your trip to Tampa in 2019. Known for its long stretch of silky smooth white sand, Clearwater Beach attracts visitors to its shores year round. You can choose to sunbathe on the beach, or take your adventures out onto the water for year-round jet skiing, stand-up paddle boarding, and parasailing. You can also rent or bring along a bicycle or some rollerblades and explore the boardwalk near the beach as well. Visit Clear Sky Café and other nearby seafood restaurants and cafes on and by the water. Stick around for the sunset, and the pier will fill with street performers and vendors. Manatees are a well loved gentle creature throughout the Florida area, and the Tampa Electric’s Manatee Viewing Center can give you an up-close-and-personal look at these quiet giants. Watch them swim through the water plant, playfully floating their days away. There’s also a mangrove exhibit, a butterfly garden, and more at the viewing center. As far as wild manatee viewing, they generally hang out alcoves where the bay waters cool down. The best months for manatee viewing, wild or otherwise, are November through April. If land animals are more your speed, head to the Big Cat Rescue in northwest Tampa. This sanctuary houses bobcats, tigers, cougars, lynx, snow leopards and more. Here, you’ll learn about these big cats, their habitats, and even get to see them in action. There are all sorts of tours to choose from including daytime, night tours, and even feeding tours. The leaders work tirelessly to protect these exotic animals from side-show zoos and other abuses. Guides will teach you everything you’ve wanted to know about these fierce felines during your trip here. These are just some of Tampa’s best attractions to check out during your visit here in 2019. Tampa Bay is a fantastic spot to celebrate New Year’s Eve this year. A Tampa Bay New Year boasts everything from ball drops, to fun bars and restaurants, and even fireworks celebrations. There are several celebrations for you to pick from to ring in the Tampa Bay New Year. Start the New Year off right. Potentially the best way to celebrate the Tampa Bay New Year is with fireworks. A warmer atmosphere gives the opportunity to sit or stand outside and enjoy a fantastic light show exploding in the sky. It’s unlikely you will have to worry about hiding in multiple players and holding earmuffs tightly to your face. A Tampa New Year’s Eve usually hovers around 60 degrees. This spectacle is at the downtown Tampa waterfront. You can also catch a great fireworks show at Cotanchobee Park. The display is a partnership with the Friends of the Riverwalk and the City of Tampa. The event usually takes place at Channelside but has been temporarily relocated this year to the Cotanchobee due to new construction. The show starts promptly at midnight. This fun and exciting event takes place just outside the convention center in Tampa at The Sail. It starts at 8 p.m. and the bash lasts well into the New Year. This fun party scene rings in the New Year with a midnight champagne toast, music and dancing, and a host of the area’s best food trucks. Like the Tampa fireworks, this event is also at the downtown Tampa waterfront. Use the New Year to make a splash by visiting the Florida Aquarium. Aqua Eve is held from 9 p.m. on New Year’s Eve into midnight at the aquarium and is one of the more unique ways to celebrate. Here you’ll find live entertainment along with complimentary food and drinks. Not only is the inside of this event really wonderful, step just outside the aquarium and you’ll have a perfect view of the fireworks show over the Garrison Channel. It’s one of the best places to be for visitors bringing young children along. Bring in the New Year with a bang by celebrating at one of the world’s best theme parks. You’ll be able to ride all the attractions offered at Busch Gardens and enjoy music blasting through the park all night. Get the thrill of the park in the dark and then enjoy a park-wide countdown to midnight topped off with an incredible fireworks show. The park stays open for an hour into the New Year so you can start the first day of your fresh slate off with a thrilling and exciting time on your favorite rides. 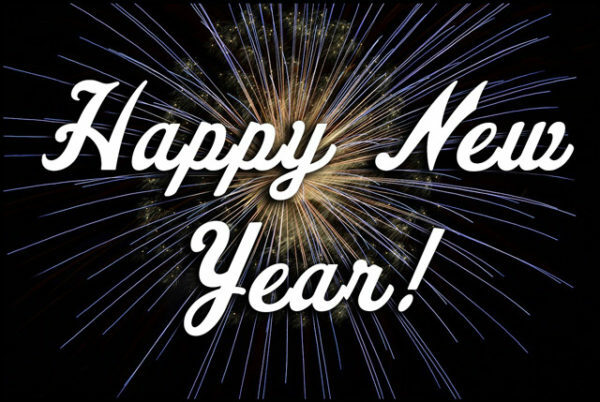 Head to the Fort Brooke Parking Structure starting at 9 p.m. and enjoy a big party counting down to midnight right in the heart of the city. This downtown celebration offers up music, fun, dancing and more. The party is close to many of the downtown vacation rentals, so it’s easy to get to and from the celebration safely. At the end of the night you’ll enjoy a front row seat to the downtown waterfront fireworks. With just this sample of amazing New Year’s Eve events happening in Tampa, you and your loved ones will be sure to find the perfect way to start the year off right. Leave a little piece of your heart, and your holiday, in Tampa. When you think of vacation, you’re not necessarily thinking about sprint training, dumbbells, and laps in the pool. But, in this day and age, people are increasingly committed to living a healthy active lifestyle, which includes staying fit while on vacation. Getting exercise in Tampa doesn’t have to be difficult. We’ve put together a list of fitness classes and gyms nearby the popular Tampa Bay area beaches. This friendly, “old school” gym is in walking distance to many Clearwater vacation rentals and hotels – one of the best Clearwater activities for those who like to stay fit. It’s spacious and has lots of equipment, catering to all levels of fitness and expertise. The gym’s staff are friendly and welcoming – you’ll find the owner on site more often than not. This fitness center offers daily and weekly passes available – perfect for vacationers who want to get some exercise in Tampa without committing to a membership. Located at 483 Mandalay Ave. in Clearwater Beach, this gym is open 24 hours a day. 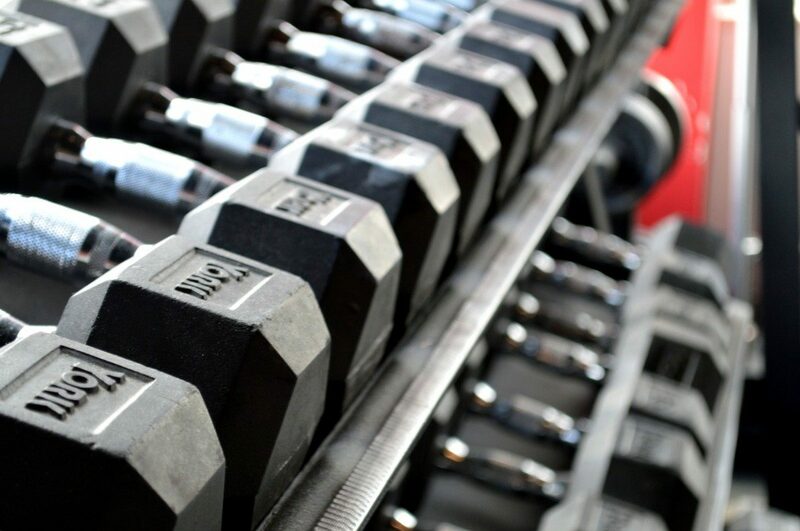 Suncoast is a spacious, no-frills gym with all the equipment you need for a great workout, including a huge selection of weights. But, perhaps what sets it apart is the group fitness – we hear the “Body Pump” is a fun challenge – yoga, and dance classes. They also have a shake bar so you can grab a post-workout snack before hitting the beach. This is a great morning Tampa Bay activity to start your day off right. Suncoast’s highly-rated childcare services save you the trouble of looking for a babysitter – let the kids play for an hour or two while you get a workout in. Suncoast is located at 203 38th Ave. N. at the north end of St. Petersburg on the Tampa Bay side. Across the bay in Tampa is one of the best barre class in the area. Barre Fitness Inc. offers challenging, ballet-inspired workouts that use elements of Pilates, yoga, dance, and training. The energizing music and rotating instructors keep you both motivated and challenged – the perfect Tampa Bay activity to break your relaxed vacation routine. Every class is different, offering a great workout that never gets boring. The bonus? It’s located across the street from an excellent café and espresso bar for a post-barre breakfast. You’ll find Barre Fitness Inc. at 3423 Manhattan Ave. in Tampa. Hit up a morning class, then spend the day exploring the big city. Not everyone loves going to the gym, but still want to exercise in Tampa. Yoga can be a good alternative. Warrior ONE offers fantastic classes a block from the waterfront, across the channel from Caladesi Island State Park. The studio invites yogis of all levels to classes like Power, Flow, Yin, and Hot. Colorful walls and fun, playful classes make this place a relaxing, fun environment. Warrior ONE takes yoga seriously, but lacks the pretentiousness that sometimes comes with yoga. Sign up for their introductory package for new students, which offers 30 days of unlimited yoga for $39. Alternatively, you can buy single classes, five- or 10-packs, and three-month unlimited memberships. Warrior ONE is located at 919 Broadway in Dunedin, just north of Clearwater. The studio is open from 8 a.m. to 8 p.m. (or later, depending on the day’s classes). If you’re looking for a tough, high-energy workout while vacationing in the Tampa Bay area, you’ll want to check out Spinnergy. They offer fantastic spinning classes that will help burn calories, tone up, and increase strength. They have top-notch instructors and trainers. The group class routines are always changing to keep your workout interesting and fun. Spinnergy Fitness is open weekdays from 5 a.m. to 8 p.m., with reduced hours on Friday, Saturday, and Sunday. The studio is located at 2301 9th St. N., St. Petersburg, about a 20-minute drive from the beach. Whether you’re spending a week or a whole season on the beach, a great workout is a perfect way to stay in shape and keep your energy levels up. Do a few circuits or join a spinning class before heading to the beach to relax and soak up the sun. When you rent vacation homes in the Tampa area, you tend to cook for yourselves more than you would in a hotel. As enjoyable as dining out is, it starts to add up fast. 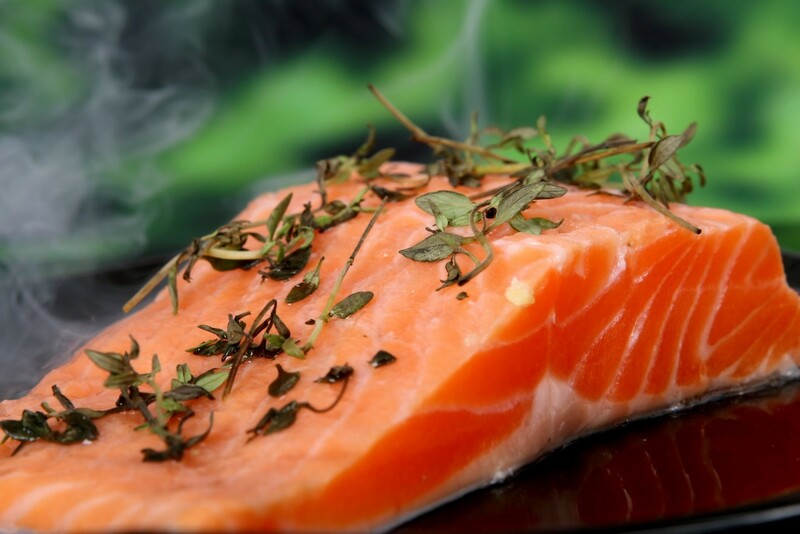 Cooking at home is convenient, delicious and good for you. Fully-equipped kitchens allow you to eat healthier and save quite a bit of money in the process. So, where are some of the best places to buy Tampa Bay groceries? Fortunately, our vacation rentals are close to many stores, markets, and grocers for convenient shopping close to home. The Fresh Market is an upscale grocery chain with a local twist. This is one of the markets in Tampa Clearwater that has the greatest variety, specializing in local produce, prepared meals, and wine. The store’s focus is on providing fresh produce sourced from the Tampa Bay area and organic products, both local and international. If you’re looking for a particular spice to complete a recipe, a gourmet sauce, or a homemade jam, this is the place to go. This grocery store also stocks everyday items, has a fresh flower market, and a bakery that does cakes for special events. The Fresh Market is located in Clearwater at 25961 US-19. It’s conveniently positioned in a commercial area, with plenty of shops and restaurants. With Rollin’ Oats, your Tampa Bay groceries just got a little healthier. Rollin’ Oats is a quaint, locally-owned and operated grocery store and café in the north end of St. Petersburg. It has a wide selection of organic products, bulk food, and fresh produce. Rollin’ Oats offers some of the best prices on organics in the area. Be sure to pick up a jar of their fresh-ground peanut butter, and a six-pack of preservative-free beer. The on-site café serves tasty meals for both vegans and meat-eaters. Grab a wrap, soup, or salad – try a bowl of the tempeh curry – while you pick up food for the week. Rollin’ Oats is located at 2842 Dr. M.L.K. Jr. N. in St. Petersburg. This is one of the best places to get fresh produce at reasonable prices. Its convenient location close to the beaches of Dunedin and Clearwater makes it a go-stop for vacationers in the area. Stop by 390 Patricia Ave. in Dunedin to pick up basic groceries and chat with the friendly staff. Whole Foods is a great option for those who like both variety and health. This chain of organic, eco-conscious grocery stores has everything you need to complete your vacation menu – and more. If you’re not in the mood to cook, Whole Foods has an incredible food bar with prepared meals, both hot and cold. Fill up your eco-takeaway container and pay at the cash register. Whole Foods has a location at 27001 US-19 in Clearwater, and another in the City of Tampa. Both are open daily until 10 p.m. Sometimes, you need to go to a store that has it all. Walmart has not only a wide selection of groceries, but also sells home supplies, clothing, electronics, and outdoor equipment for those small things you forgot to pack. You can even pick up the latest spy novel to hit the shelves, or a cheap DVD for the family to enjoy. With three markets in Tampa Clearwater – one inland from Old Clearwater Bay, another just off the US-19, and the third a little further south on Gulf to Bay Blvd. 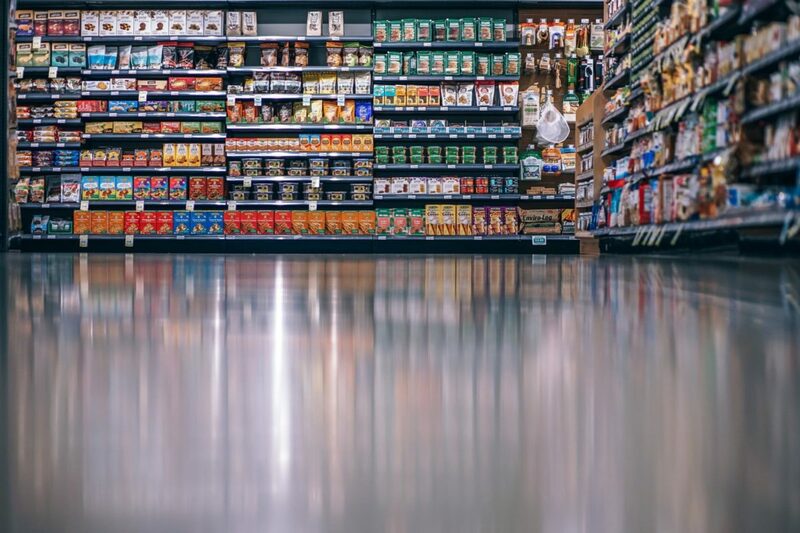 – you can be sure to find Tampa Bay groceries at any hour of the day or night. The Neighborhood Markets are open from 6 a.m. to midnight, and the Supercenter on the US-19 is open 24 hours a day, seven days a week. Here at Florida Sun Vacation Rentals, we offer stunning homes and condos with state-of-the-art fully equipped kitchens for those who like to cook at home. Plan a few recipes and take a short drive to some of the local grocers to find the local ingredients you need. Pretty soon, your vacation rental will feel like a home away from home. Check out our rentals online or give us a call at 727-831-1326. For some, experiencing Tampa includes a whole lot of shopping and dining. There are endless opportunities for play, including some of the state’s most popular attractions. But for others, Tampa is best experienced from the water. There’s really no end to the different types of boat experiences you can have in and around the massive Tampa Bay area. While staying at one of our Tampa vacation rentals, you really can take to the water and see Tampa in the way it should be. Get out on the water. Take a look at the below boat rentals and charters in Tampa Bay and the surrounding area to go on a true gulf adventure. You will have to head on over to the world of Clearwater to appreciate this top boat charter provider. The journey with Captain Rick will carry you about four hours out into the gulf on the hunt for some top-tier fishing. The most sought-after of these is the King Mackerel, which Captain Rick is famous for getting on the end of his line on many trips. Rick also knows how to win over the dolphin, as they commonly bounce and play behind his boat. Private trips are about $400 for a crew. Trips can either take you into the nearshore areas of Tampa and Clearwater or within the inshore. Charter prices are set on half-day, ¾ day, or full day rates. Hop on board with Clearwater Fishing Charters and Captain Rick for the best chance of some serious seasonal fishing. Don’t let the adorable name fool you. Daisy Mae Fishing charters can offer you an intense and long fishing excursion if you want it. The Daisy Mae is primed and ready to go for some exciting sport fishing for snapper, grouper, and more. But you can even take this to another level. 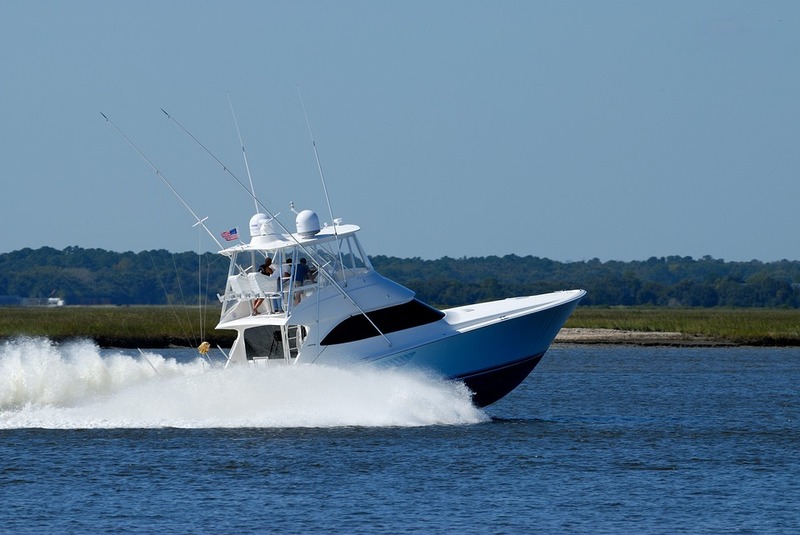 The Daisy Mae is just the boat to carry you into the deep waters for competitive-styled fishing, including marlin, sailfish, wahoo, and tuna. This provider is focused on providing ambitious and challenging fishing excursions for anyone up for the adventure. Four-hour trips are about $500 for a small group up to 15 miles offshore. But you can venture 25 miles offshore for $800 for flounder, red drum, and the rare hogfish. The best value on the website is for a massive and epic 12-hour trip up to 75 miles offshore. This provider knows what they are doing and is easily the finest boat charter experience for anyone seeking a serious-minded challenge in the heart of the Gulf of Mexico. While the above two options provide some incredible charter experiences in the gulf, Tampa Bay Boat Rentals gives you the option to DIY the whole adventure. Rent a boat and scour the waters as you see fit. Hop aboard a pontoon boat or go fast behind the 2006 Supra. Rates are determined by the week or by the month. Weekly rentals are available for around $200 a day and monthly rates are $100 a day. Fish deep in the gulf or cruise the coast. You can tube with the family or just lounge out on the water, as you roll ever-so-subtly back and forth amongst the waves. It is your adventure to create. The marina is located at 1818 Paleo Point Dr, Ruskin, FL 33570-2701. If this is far from your vacation rental, you can consider delivery. Delivery locations include Maximo Park, Williams Park, the Davis Islands, and more. You can work with us to get you a boat rental delivered in your proximity if needed. Book your very own Tampa vacation rental today. Boat through the waters of Tampa Bay on your upcoming Florida vacation escape. Tampa offers a little bit of everything to usher in Halloween. Find Happy Hour specials and midnight club parties with DJs, haunted holiday light shows, theme park festivities and more. 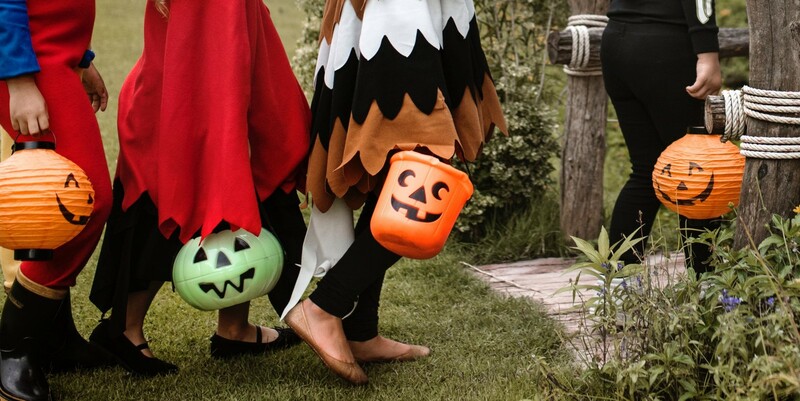 Whether you are looking to have a blast with a group or as a couple, with the kids or solo, you won’t be short of enthralling, spooky, and entertaining things to do for Halloween at these fall events in Tampa. Almost inarguably, the biggest of all the Halloween events in Tampa is Howl-O-Scream. By now, the Howl-O-Scream event at Busch Gardens is more than a mere spectacle. For some, it is possibly the main reason they come to Tampa. It is a massive, ambitious, and captivating event, and Busch Gardens has announced that they are raising the bar once again. Fresh meat hangs from the walls in the slaughterhouse, and a sick mastermind is your puppeteer. Clowns hide in the hotel corridor. The haunted asylum is stirring again, and it is up to you to find out who is screaming over and over again right down the next corner. The event consists of five different thrills for 2018, including Deadly Toys, the Manic Midway, and the Meat Market. Howl-O-Scream is not suitable for children as it contains violence, blood and gore, and the event stays open late until 1 a.m. each night. The event is a thrilling romp through an assortment of uncomfortable, distressing, and moody set pieces – and the goal is to make you feel quite unnerved. Plenty of beer tents, food destinations and bars will keep you energized, along with exclusive photo destinations. This event is separately ticketed from the main Busch Gardens. It’s also a good idea to buy your tickets in advance as they may run out. 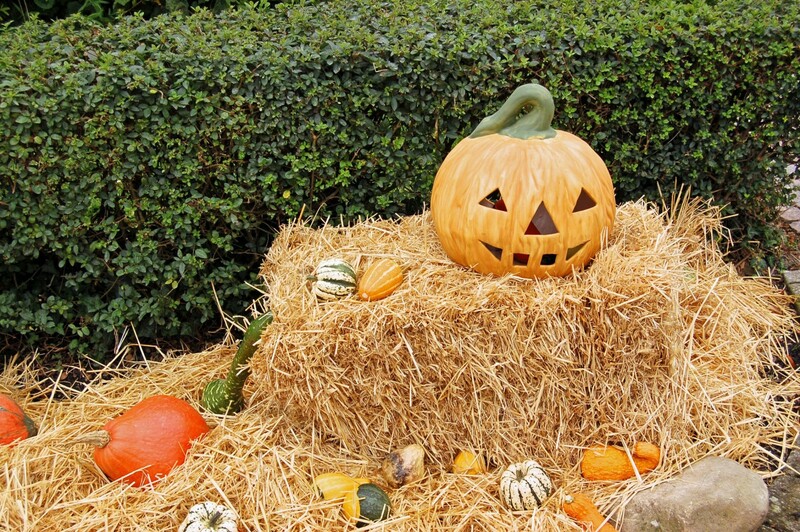 The event runs from September 21st to October 28th at Busch Gardens in Tampa, FL. The lights built for the Sylvan Ramble Lights show can’t help but bounce, pulse, ebb, and flow to the haunted music of the season. This light spectacle is an interactive tour-de-force. Stop by the haunted house as it glows and pulsates with bright orange, white, and yellow lights. Watch the animatronics dance and scare passersby. Admire the smoke and water effects that help build a healthy dose of atmospheric horror. This once-modest spectacle has become a major Tampa showcase for Halloween, getting bigger and bigger every year. The event is free but donations (which go to the local non-profit, Clothes To Kid) are appreciated. You can visit this haunted and amazing location at 4412 West Sylvan Ramble Street, Tampa, FL 33609. When you get a break from the ambiance, stop by the yard for some hot chocolate. It is Oct 29th to Oct 30th at 9 p.m. to 10 p.m. with select few dates leading up. For some, Halloween is not complete without a stop at a Masquerade Ball. This lively and classy event is about the spirit and excitement of the holiday. Cloak yourself in mystery and celebrate the ambiance and energy of Halloween. The event is 25 and up and tickets are $40 a person. The party is at 137 South Parson Avenue, Brandon, FL 33511 at Brandon’s Event Space. Tickets are required prior to attendance. DJ Cardinal is hosting the event, starting at 8 p.m. on the evening of Oct 27th. For an alternative party event with a bit of an edge, stop by the Franklin Manor. With a moody energy and darkly twisted sense of humor, the Franklin Manor hosts a riveting Halloween party each year in Tampa. The event is 21+ and tickets are required. You will need a valid government ID to get in. The event is the evening of Halloween, and offers an energetic yet club-oriented evening for your Halloween getaway to Tampa. Franklin Manor is located at 912 North Franklin Street, Tampa, FL 33602. Tampa has a taste of everything for Halloween. Find an event with a bit of danger and unexpected thrills to get your adrenaline pumping, with a haunted mood and sinister edge. Come down to these fall events in Tampa to have a blast. Stay with us at one of our Tampa vacation rentals, located right near the action. You may have heard about the red tide algae phenomenon that has affected Southwest Florida. This is a type of harmful algal bloom (HAB) – simple marine plants that grow out of control and produce toxins typically 10-40 miles offshore. Most of the time, the red tide is a temporary phenomenon lasting a few weeks, but in some cases, it can last longer. In humans, red tide algae toxins can cause respiratory symptoms directly or indirectly, and they can be toxic or fatal to a variety of marine animals. While not all red tides have toxins, many do. Further, not all harmful algae blooms are red, some are blue-green or other colors, which is why experts are attempting to phase out the term “red tide” and replace it with the more accurate “harmful algal bloom” (HAB). Red tide algae hit Florida’s Southwestern coast earlier this year. Recently, many beaches in Hillsborough and Pinellas County remain unaffected. Other Southwest Florida beaches are affected on a daily basis depending on the tide, wind and water currents, and other oceanographic conditions. The effort to monitor the algae has been impressive. The red tide has been carefully tracked by experts from the National Ocean Service who provide daily forecasts and Mote Marine which provides specific reports on beaches. Milestones are being reached every day to recover and bounce back through focused conservation in Tampa and elsewhere. Red tide is a natural phenomenon that occurs when massive quantities of algae bloom out of control due to favorable conditions for their growth. The algae are known to have high concentrations of a natural toxin called brevetoxins. The toxins are stirred into the air by the breaking waves and winds where they cause respiratory irritation. It is important to note that ocean water is not always red as a result of a red tide bloom, it can be varying shades including rusty orange, brown, or purple. The best thing to do is check the reports for the beach you plan on visiting to be certain if there is a red tide bloom nearby or not. The toxins are harmful to local marine life. They can sometimes kill fish en masse. Larger mammals and other marine life can be affected. Mollusks, clams, and various shellfish can absorb the toxins, essentially making them poisonous. Manatees, sea turtles, dolphins, and birds (often through digesting the poisoned prey) can fall victim to red tide. Many people can swim safely with a red tide bloom nearby, but not all. Those who have respiratory problems such as asthma or emphysema should avoid waters with a red tide bloom. Young children and elderly people should often avoid red tide water as well as animals. Those who experience symptoms in the water should leave it. Generally, red tide algae toxins can cause respiratory irritation in humans, which typically manifests as, bronchoconstriction, coughing, and wheezing. The effects may last upwards of a week. More commonly, a reaction will cause some irritation and coughing lasting for about an hour. Are shellfish safe to eat? Yes, commercially available shellfish in restaurants and grocery stores are carefully monitored by the state agencies. However, recreationally harvested shellfish may not be tested and are not guaranteed to be safe. Recreational harvesting is also banned during red tide closures. What is the status of red tide now? What is the status of the red tide now? It is safe to enter many beaches in the Tampa area, but the clean-up process is still ongoing in other areas of southwest Florida. Again, you will want to check with the National Ocean Service’s daily forecasts and Mote Marine’s specific reports on beaches. Aptim is one of the companies involved with repairing and restoring the vitality of Florida’s gulf coast beaches. The company is deploying large equipment to remove any dead fish and marine animals along the coast. To assist with smaller beaches and tighter passages where the equipment can’t fit, volunteers are being enlisted. Pitchforks, latex gloves, buckets and masks have been supplied to eager volunteers who want nothing more than a restored community. This goes to show the love and passion for the local beaches and ecosystems. Large clean-up events have been scheduled in specific sites at least twice a week since the bloom. New efforts are being developed to deter red tide development in the future. Scientists speculate that some types of gulf pollution may be responsible for the intensified algae, and efforts are being made to reduce it throughout Southwest Florida. Progress is being made, and locals are coming out in large numbers to help restore the shores they love. Although most of Tampa area beaches remain in proper and pristine form, the rest of Southwest Florida is expected to follow suit in the near future. If you are planning a trip to Tampa, know that many of the beaches here remain safe to visit as of now and that you can always be provided with up-to-date information if you choose us for your vacation rental needs. The sun, sand, and surf are not the only reasons to come to Tampa. (Though they are some of the best reasons!) Tampa Bay is also home to some of the best restaurants in all of Florida. If you’re a foodie looking to enjoy some of the best seafood and dining options in America, you have come to the right place. Take a look at this list of the 5 best restaurants in Tampa Bay. Haven’t booked your beach vacation in Tampa yet? What are you waiting for? Find the ideal vacation home at Florida Sun Vacation Rentals now. If you’re looking for a truly authentic take on Floridian food, you can’t miss out on Ulele. This restaurant focuses on fare taken directly from the vibrant Florida waters, and cooked using age-old Native American flavorings, spices, and techniques. Their hallmark is their 10’ diameter barbacoa grill, where chefs cook up delicious dishes such as burgers, char-grilled chicken, shrimp po’ boys, barbacoa tenderloin, and an unbelievable variety of other mouthwatering dishes. Ulele also has a brewery, with more than a half-dozen locally brewed beers on tap. Oystercatchers is located in the Grand Hyatt of Tampa Bay, nestled on a corner of the bay with a gorgeous seaside view. This upscale eatery offers a spectacular array of dishes – focused, as the name suggests, on seafood. The restaurant offers a rotating variety of fresh fish and seafood, based on the day’s catch, and the whims of the head chef. You’re unlikely to ever have the exact same thing twice at Oystercatchers. From calamari fries to ahi poke and delicious fish tacos, there’s always something tasty here. Eddie V’s focuses on surf and turf. With delicious, fresh from the ocean fish and seafood available, as well as prime USDA choice steaks, there’s something here for everyone. Elegant and refined, this chain also features live jazz and a great view of Tampa Bay, making it a great choice for your next date night in Tampa. Mykonos is nestled in Tarpon Springs, near the world-famous sponge docks. This laid-back eatery is right on the edge of the water, and open-air dining provides you with a spectacular atmosphere – particularly during sunset. As the name suggests, Mykonos specializes in authentic Greek fare, with a focus on seafood. Enjoy dishes such as Moussaka and lamb shank, or get a taste of the seas with a fish and seafood menu which rotates daily! A casual and relaxed Italian restaurant in Tampa Bay, Osteria Natalina serves up delicious and authentic dishes in the south of Tampa. The menu is primarily seafood-based, with dishes such as calamari salad, linguine with clam sauce, snapper filet, and lobster-stuffed ravioli. With an extensive selection of appetizer, entrees, and wine, you’re sure to be able to eat your fill at this cozy, homey Italian eatery – and love every second of it. Is Your Mouth Watering? Head To Tampa Bay Now – And Eat Your Fill! Nowhere else in Florida will you experience unique, delicious, and authentic restaurants quite like these. 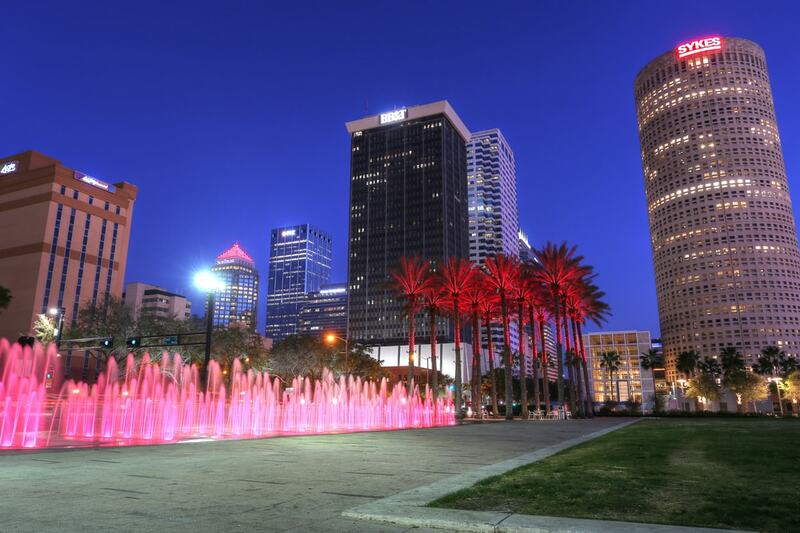 So don’t wait – start planning your Tampa Bay vacation now. You’re sure to love the restaurants and dining options that are available to you. If you’re renting a home or condo from Florida Sun Vacation Rentals, you’re probably quite busy planning your dream beach vacation. And whether you choose to stay in Tampa Bay or Tarpon Springs, you’ll have plenty of things to do once you come to the sunny shores of Florida’s Gulf Coast! In fact, there’s almost too much to do! It can be hard to figure out what the best Tampa area attractions are – simply because there are so many. In this article, we’ll help you out! Take a look below to see our picks for the top Tampa area attractions. In this quick guide, we’ve put together some of our top picks for recreational options and attractions in the Tampa area. After you’ve booked one of our rental properties, take a look at this guide to start planning each day of your beach vacation! Let’s get started. The Historic Sponge Docks are an ideal destination if you’re a “foodie”, and interested in exploring a wide variety of Greek and Mediterranean restaurants. With bakeries, delicatessens, and plenty of unique souvenir shops, there’s always something to do. Of course, another highlight of this destination is the sea sponge harvest. You can watch the sponge boats coming in with loads of sea sponges, and observe as workers clean and sell the sponges. It’s truly one-of-a-kind! Looking to get a bit more excitement after a few days relaxing on the beach? Busch Gardens Tampa Bay is the perfect choice. This Florida theme park features a variety of different activities. From thrill rides and rollercoasters, to the always popular with kids “Serengeti Safari”, where you can see giraffes, and more, there’s plenty to do. Adventure Island is one of the best waterparks in all of Florida. With enormous and fun waterslides, the “Endless Surf” swimming pool, Paradise Lagoon, and dozens of other entertaining water-based attractions, this is a great place for the whole family. And with plenty of recreation and dining options, as well as private cabanas available, you’ll be able to spend your whole day enjoying the atmosphere of this fun waterpark. Plenty of pre-season spring training games are played until Opening Day, so you’re sure to be able to catch a great game, and see some of your favorite players in action. The Tampa History Cruise is run by the Henry B. Plant Museum. It’s a guided boat tour that takes you around the entire city, and traces the nearly 4000-year history of the Tampa area. From prehistory, to discovery and modern history. You’ll learn how Tampa grew from a Spanish trading outpost into one of the largest Florida cities, and discover hidden secrets about the city – ones that even most locals do not know about! The Tampa Museum Of Art is a wonderful destination for the whole family. Admission is inexpensive for families, and the museum has a variety of child-focused educational programs. Their permanent collection includes a large selection of rare Roman and Greek antiquities, as well as artwork and pottery from around the world in “The Classical World” exhibit. The museum is always hosting special events and announcing new exhibitions. See their website for details! There are dozens of providers of dolphin cruises and wildlife cruises in Tampa. A dolphin cruise is a great way to get out on the water, and try to spot seals, dolphins, sharks, manatees, and so much more! Most dolphin cruises range from 2-3 hours in length, and offer paid concessions on board. Typically, they run throughout the day – but evening is often the best time to see marine wildlife (and catch a spectacular seaside sunset)! Dinosaur World Florida is one of the largest dinosaur-themed parks in the nation. This unique theme park includes hundreds of painstakingly-recreated dinosaurs scattered throughout the property, plenty of interactive exhibits, dog-friendly boardwalks, a dino-themed playground, and an enormous gift shop. The Tampa Riverwalk stretches throughout all of downtown Tampa, and has transformed the city’s waterfront into a fun, pedestrian-friendly recreational area. One of the primary attractions of the Tampa Riverwalk is the “Monument Trail.” Throughout the Riverwalk, you will see bronze and marble busts of historical figures, and monuments to important and significant events in Tampa history – as well as detailed placards explaining the significance of each one. The Tampa Riverwalk also features events like boat parades, easy access to dining and drinking destinations, plenty of shops, and numerous parks and scenic installations, this is a wonderful place to enjoy a cool, breezy Tampa evening. This non-profit animal sanctuary is dedicated to providing a farm and petting zoo, and helping children benefit from interacting with animals. The petting zoo includes common animals like donkeys, deer, and pigs, as well as exotic animals such as lemurs, bush babies, red foxes, and a variety of reptiles. Other things to do include horseback riding classes and tours for beginners, a petting zoo, a horse-drawn hay ride, a large bird exhibit, and guided tours, as well as a wildlife rescue and rehabilitation center. Hopefully, a few of these Tampa attractions appeal to you. And when it comes to things to do in Tampa, this is just the tip of the iceberg! Check out our list of things to do in Florida to see more, or do a bit of research on your own – you’ll find more recreational activities than you know what to do with! Whether you’re interested in art, sightseeing, aquatic animals, or anything else, there is plenty to do in Tampa. So start with this list of destinations in Tampa, and begin planning your dream beach vacation. The ideal beach vacation is many things – relaxing, fun, family-friendly, and so much more! And one of the best ways to make your beach vacation even better is by renting a condominium or a private property with a pool. Having a private pool is truly wonderful. You can soak yourself and relax, drinking in the Florida sun, and be free from prying eyes, strangers, and others on the beach. Not sure where to start when looking to rent a property with a pool in Tarpon Springs and Tampa Bay? We’ve got you covered! Read on to learn more about the benefits of renting a pool from us, and see our available properties. Why should you rent a property with a pool for your beach vacation? We’re glad you asked! Here are just a few reasons. Family-friendly – Long days at the beach can be tiring, especially if you have small children. You’ve got to make sure they don’t wander off or get lost, or go too deeply into the ocean. It’s a lot of work! But with a private pool, you can retreat from the sun and sand, and into your own private getaway. 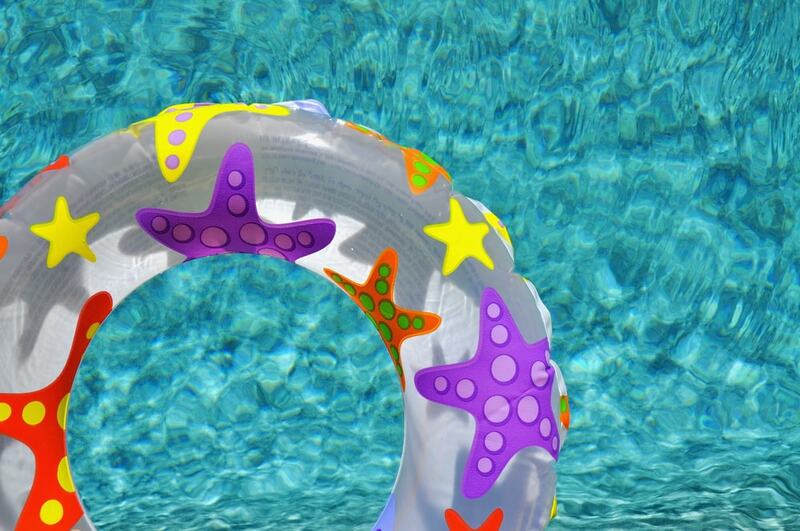 Your kids will still be able to have fun in the sun, and splash around on pool toys – but you won’t have to do quite as much work to keep them entertained, and safe. That’s a win-win! You get more privacy – If you’re looking to sit back, relax, and enjoy your favorite detective novel, a public beach isn’t always the best choice. Whether it’s because of loud, neighboring beachgoers, a lack of private seating, or any other reason, you may find it hard to relax on the beach. A private pool is much more quiet and secluded, offering you a better place to enjoy the Florida sun away from prying eyes. You can swim after-hours – Most Florida beaches start to close down after dusk. In some areas, you’re not allowed to swim when lifeguards aren’t present – and even if you are, it can be dangerous. A rental pool lets you swim to your heart’s content – whether it’s 9pm, 2am, or any time in-between. You and your family can swim late into the night, and never worry about being unsafe or in danger. Our Rental Properties – Find Your Ideal Beach Vacation Getaway! At Florida Sun Rentals, most of our rental homes and condominiums either come with a private pool, or a limited-access pool that’s available only to other renters in the area. Some of our properties also come with jacuzzis and hot tubs – perfect for vacationers looking to relax after a long day at the beach, or in the pool. Whether you’re interested in vacationing in Clearwater or Tampa Bay, you can get a great deal on a fantastic rental. Check out some of our rental units today to get started. Contact Us Now To Get Started, And Find Your Ideal Rental! If you have questions about rentals, rates, guest limitations, availability, or any other inquiries, please feel free to drop us a line right away. You can contact us online, and we’ll respond ASAP. Or, if you prefer, you can give us a ring at 727-831-1326, and get in touch with one of our rental agents directly. Don’t wait – rentals for this upcoming vacation season are going fast!